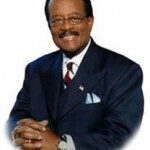 October 2nd in African American History - Johnnie Cochran, Jr.
October 2, 1937 Johnnie L. Cochran, Jr., lawyer, was born in Shreveport, Louisiana. Cochran received his B. S. Degree in business administration from the University of California in 1959 and his Juris Doctor from Loyola Marymount University School of Law in 1962. By the late 1970s, Cochran had established his reputation in the Black community as the result of litigating a number of high profile police brutality and criminal cases. In 1978 he joined the Los Angeles County District Attorney’s office as its first African American Assistant District Attorney. Five years later he returned to private practice and in 1990 formed his own firm which grew to 26 offices in 15 states. Over the years Cochran gained the reputation as the “go to” lawyer for the rich and famous. His list of clients included Michael Jackson, O. J. Simpson, and Sean Combs. He also represented what he termed the “No J’s” including Geronimo Pratt and Abner Louima. Over the years, it was estimated that he earned $40 million trying cases. Cochran died March 29, 2005. 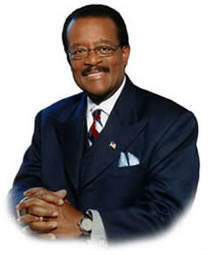 In January, 2006, the Los Angeles Unified School District renamed his boyhood school the Johnnie L. Cochran Middle School and in 2007 Cedars-Sinai Medical Center opened the Johnnie L. Cochran, Jr. Brain Tumor Center.